Enlarge / Cryptocurrency mining in operation. On Wednesday, the New York State Public Service Commission (PSC) ruled that municipal power companies could charge higher electricity rates to cryptocurrency miners who try to benefit from the state’s abundance of cheap hydroelectric power. But mining booms in small US towns are not always met with approval. A group of 36 municipal power authorities in northern and western New York petitioned the PSC for permission to raise electricity rates for cryptocurrency miners because their excessive power use has been taxing very small local grids and causing rates to rise for other customers. 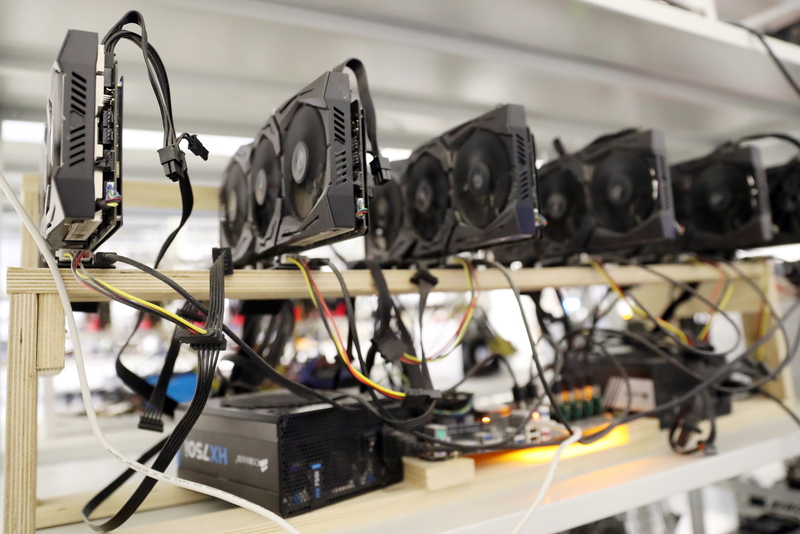 The PSC responded on Wednesday that it would allow those local power companies to raise rates for cryptocurrency miners. The response noted that New York’s local power companies, which are customer-owned and range in size from 1.5 MW to 122 MW, “acquire low-cost power, typically hydro, and distribute the power to customers at no profit.” If a community consumes more than what has been acquired, cost increases are passed on to all customers. While such a significant amount of electricity usage might go unnoticed in large metropolitan areas, the sheer amount of electricity being used is leading to higher costs for customers in small communities because of a limited supply of low-cost hydropower. In Plattsburgh, for example, monthly bills for average residential customers increased nearly $10 in January because of the two cryptocurrency companies operating there. In another instance, the power demanded by cryptocurrency companies accounted for 33 percent of the local power company’s load. In the Village of Akron, a cryptocurrency mining operation requested a 5 MW increase in electricity delivery. “If Akron were to comply with the request at existing rates, Akron’s annual average bulk power supply costs would have increased 54 percent with a direct impact on retail rates,” New York’s PSC wrote. Of course, cryptocurrency mining is hardly the first industry to arbitrage electricity prices to make some good’s production more profitable. The practice is common in aluminum production, where the smelting process uses vast amounts of electricity to extract alumina from bauxite ore. Not surprisingly, the Pacific Northwest and Upstate New York are both US regions where aluminum manufacture is common. Singling out a power-hungry industry for rate increases isn’t without precedent. In Boulder County, Colorado, for example, marijuana growers are charged an extra $0.0216 per kWh because they use so much power to run grow lights, ventilation systems, and air conditioners for their plants.